Clinical decision support systems have historically focused on formal clinical reasoning. 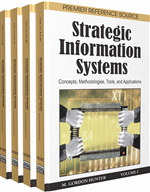 Most of the systems are rule-based and very few have become fully functional prototypes or commercially viable systems that can be deployed in real situations. The attempts to build large-scale systems without examining the intrinsic systemic nature of the clinical process have resulted in limited operational success and acceptance. The clinical function, another area of medical activity, has emerged rapidly offering potential for clinical decision support systems. This article discusses the systemic differences between clinical reasoning and clinical function and suggests that different design methodologies be used in the two domains. Clinical reasoning requires a holistic approach, such as an intelligent multiagent, incorporating the properties of softness, openness, complexity, flexibility, and generality of clinical decision support systems, while traditional rule-based approaches are sufficient for clinical function applications.